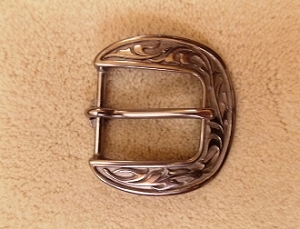 This beautiful hand engraved sterling silver buckle set with the horse shoe motif from Fritch Brother's Silver of California is just the thing for your hand made waist belt. 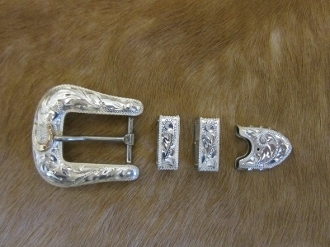 This buckle set is available in 3 or 4 piece and in 3/4" or 1". 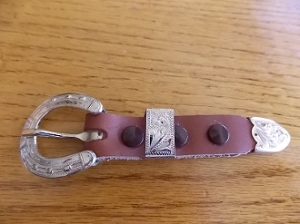 The horseshoe is 10k gold. 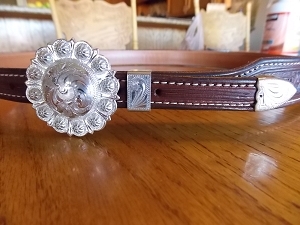 This is a very high quality buckle set.